Samantha Corfield is the new manager at Friends of the Elderly’s three Malvern care homes; Davenham, Bradbury Court and Perrins House. 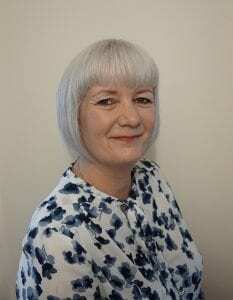 She has worked within the care industry for over 10 years and prior to that she worked in the housing sector providing advice and assistance to homeless families. Samantha is proud of the shared vision held by the team at Malvern, which she says is to provide high quality care, in a historic yet modern setting within expansive grounds. She supports the team to ensure residents are given opportunities every day to do something different and live life to the full surrounded by people who truly care for them. When asked what motivates her, Samantha said people. She gets so much from being part of a team that enriches people’s lives and brings joy and happiness not only to the homes’ residents but also those who are lonely in the community. Initially attracted to Friends of the Elderly because of its values, Samantha then saw that the organisation also strives to provide excellent care and to be constantly evolving and innovative. To find out more about Friends of the Elderly Malvern, click here.